I'm staying put for the day at the Navajo State Park Campground about 20 miles west of Aztec, NM and doing some exploring. My first stop after downloads at McDonalds was the Aztec Ruins. This is a misnomer in that the Spanish from Mexico that first explored this area were familiar with the Aztec Indians in Mecico so to them every ancient culture like these they came across were called Aztec. There were attempts to change the name but culture stuck with the conventional name. 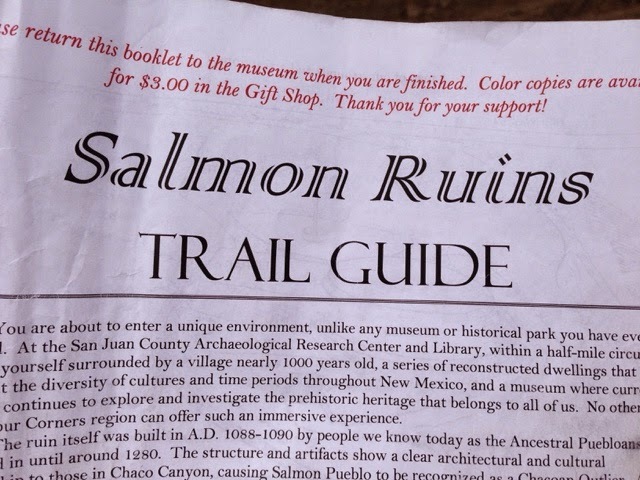 They give you this self guided tour book of the ruins that works well. They have an area to the east that they are still researching. Their museum was closed for renovations. 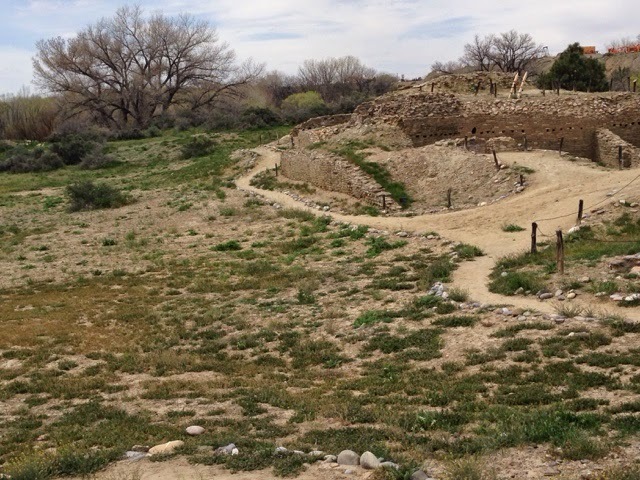 This is a grand kiva that was reconstructed and massive in comparison to others. 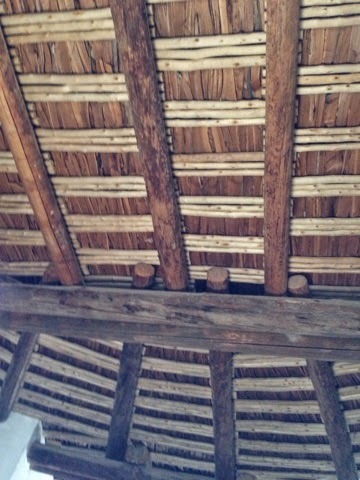 The ceiling/roof is called ramada. The grounds and visit was nice. When we hit all the big National Parks these smaller places can get pased by. I stopped as I saw the signs not because it was in a list. Glad I did. 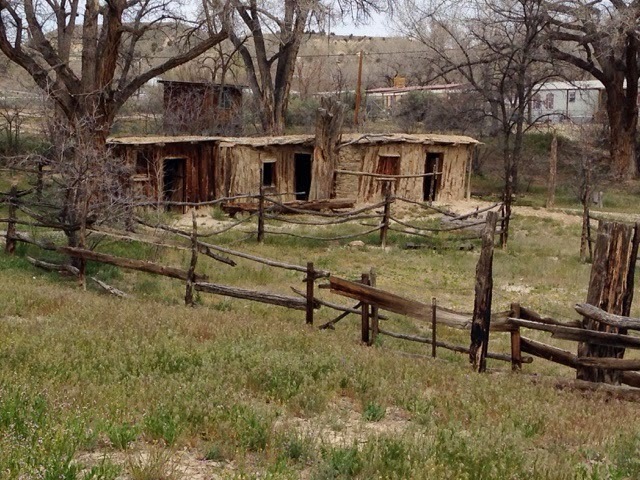 There are a lot of acient sites in New Mexico, I was driving through Bloomfield, NM, just south of Aztec and decided to stop at this one run by the county. 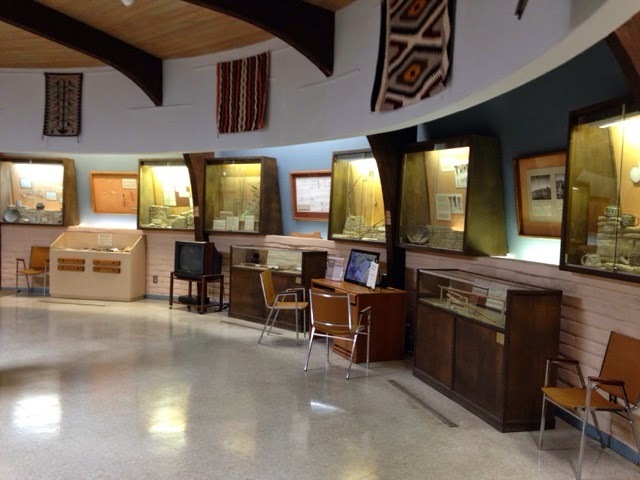 They have a nice museum. 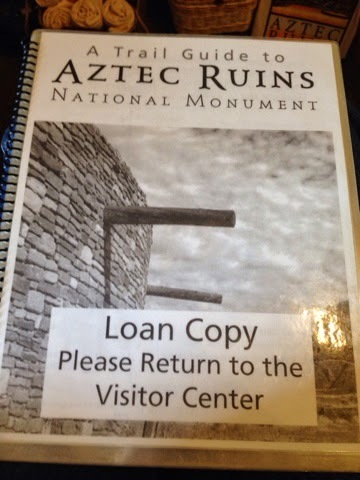 They to have a self guided tour book that explains the ruins. 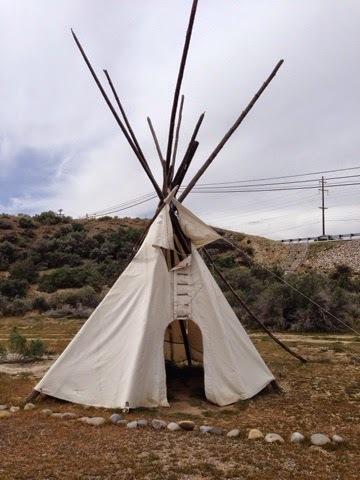 They also have other interpretive outdoor items. 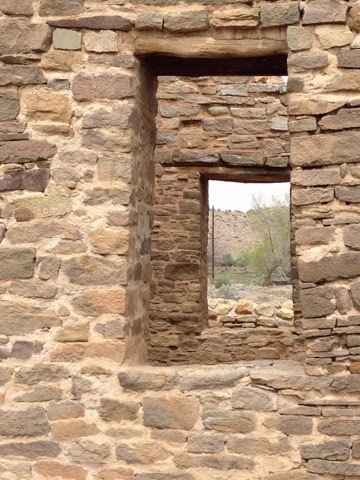 This site is unique as it was occupied by a large group and then they left for some reason and it was used by small groups. Then another large group came to live and modified the structures. 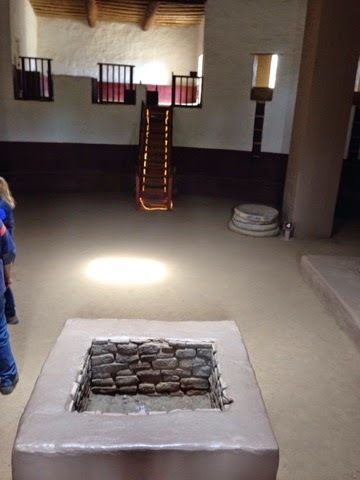 For example a square room was converted into a small round kiva. Very interesting. 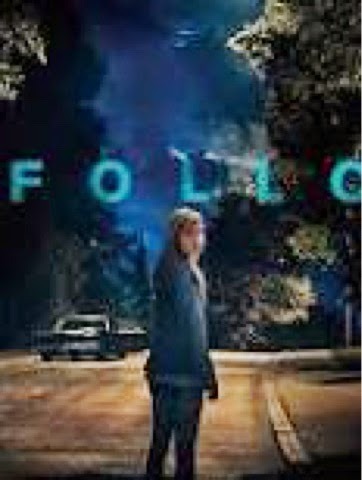 I took in an afternoon showing of "It Follows". It is not my typical movie but I decided to go over other movies showing. It was a scary movie but not as scary as some others. Interesting but would not fine it more than a 2 out of 5. After the movie it was a stop at Walmart for groceries then to stop at a diner for dinner. 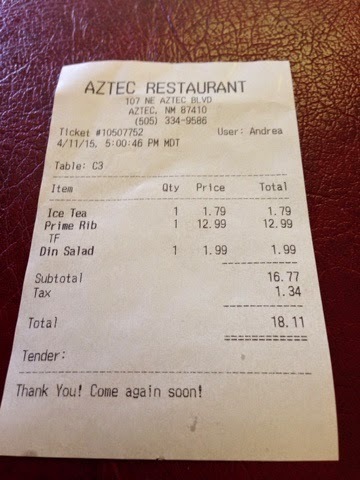 It was prime rib night at the AzTec Restaurant. I went by all kinds of chain restaurants coming back from Farmington, NM and decided on a local spot to have dinner. 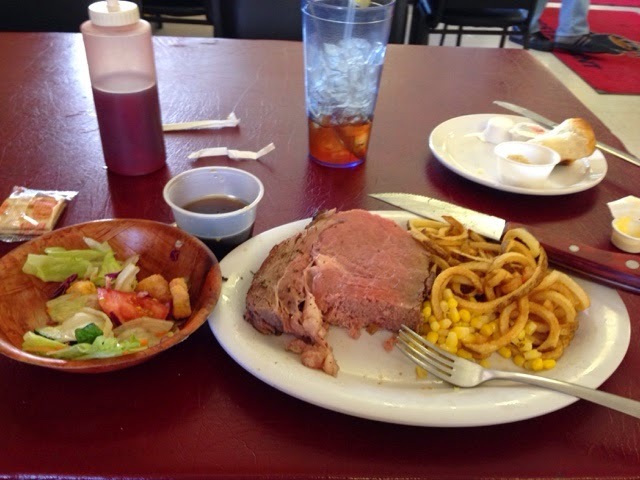 It was 5:00 pm and the prime rib was the special and was ready.